It is a good idea, on any productive server which is supposed to run Apache + PHP on Linux to do some initial Apache configurations which will guarantee a better WebServer performance and improved Apache client thoroughput. On every each and other new configured Linux server planned to server as an Apache + some database backend, I routinely make this tune ups even without thinking. The reason I do it is time and experience proofed this optimizations works like a charm and almost in 100% of cases they can only improve situation with the server, decrease the general expected load and thus save costs for potential hardware. 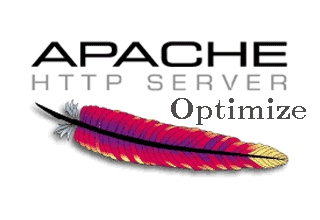 Besides that the few config options which I'm about to suggest in this article guarantee improved WebPage opening times and most of times overall Apache response times. The consequence of embedding the optimizations has a straight influence on Google / Yahoo PageRanking as it is not a secret most (if not all) Search Engines, rank with a Higher PageRank webpages which load up for lower opening times. By default KeepAliveTimeout is set to 15 – KeepAliveTimeout 15. 15 Seconds is a long delay and on a by Apache servers it is very likely you will have hundreds if not thousands of Apache forks or internal threads, keeping still open for clients which already navigated off from the website or websites hosted and served by Apache. Bear in mind that in some cases, where page execution (lets say a PHP script) takes longer to execute than 7 seconds clients might end up with empty pages as Apache will drop off the opened TCP / IP connection to remote client. Thus for some people who run badly written websites with PHP scripts which take long time to execute lowering default KeepAliveTimeout might have negative results. Therefore as a rule of thumb if you reduce the KeepAliveTimeout, be sure to monitor closely with the website testers team or via some website feedback form if the website continues to perform okay for end clients, if not just tune up KeepAliveTimeout to a value with which the website works fine. Other reason why KeepAliveTimeout is so good in almost all cases to reduce is by simply closing quicker opened network connections, less Apache childs keeps loaded in memory and therefore more memory is available for eventual new clients connecting. Default TimeOut setting is set to 300 seconds! A good value to reduce it to is 40 or 80. 80 value is less likely to create content serving unexpected interrupts. On most servers I just set to 40 as so far this value works well for me. One note to make, here that on some websites based on Smarty, Zend PHP Framework etc. PHP frameworks mod_expires might cause some troubles, however in 70-80% of the cases just enabling it causes no harm to the overall website functionality. Be sure to test it well if you enable it and don't blame me if it cause you issues. Another good practice is to set MaxKeepAliveRequests which will be handled by Apache forked child to a high value but not to 0 (which will make once forked Apache childs to never die – making them likely to mess up assigned memory due to memory leaks or Apache bugs). On a productive servers I set values from 5000 to 50000. This step is not optimizing Apache performance but it is useful to enable mod_rewrite, as there is almost no website today which doesn't use mod_rewrite via .htaccess passed directives. Default config values set for mpm_prefork, are for a tiny home server, depending on the server amount of memory and CPU power – StartServers, MinSpareServers, MaxSpareServers, MaxClients and MaxRequestsPerChild – should be carefully tailored and tested with Apache Benchmark little tool and Siege or any other benchmarking tool before WebServer is made publicly accessible. I've earlier blogged how to disable Apache SSI on Debian Linux – you can read here. The change SSI will make whether off is not so big so even leaving it on is not a big deal. suhosin is useful module that tightens Apache security, however for me it has earlier create a lot of issues and it is my personal view that life is better without suhosin. I've earlier stumbled on a weird issue causing Apache to mysteriously crash – removing suhosin solved it all. I'm not sure if suhosin is installed by default on Debian, but it is often installed a a package dependency to some php-devel packages, so I find it wise always to check if it is present on the system and remove it if it is. Archiving with gzip and de-archiving CSS, JS and HTML is very useful, as it reduces the size of transferred content. This however might impose a bit of higher CPU load, so I only enable this one whether I target increase in network thoroughput, however for people concerned of CPU load it is better to keep it off as it is by default. For some new Apache configurations, which doesn't need exec(); or system(); or any other PHP embedded external code execution functions, from performance point of view it is much better to just switch to the much more sophisticated performance efficient and less memory hungry Apache2 mpm-worker engine – the downside of it is you will have to configure PHP to be executed via php5-cgi apache module. The first line is set to use 127.0.0.1, as I find it very useful and to improve overall system efficiency and make it much fail proof, if the server is configured to run a custom DJBDNS server on localhost.